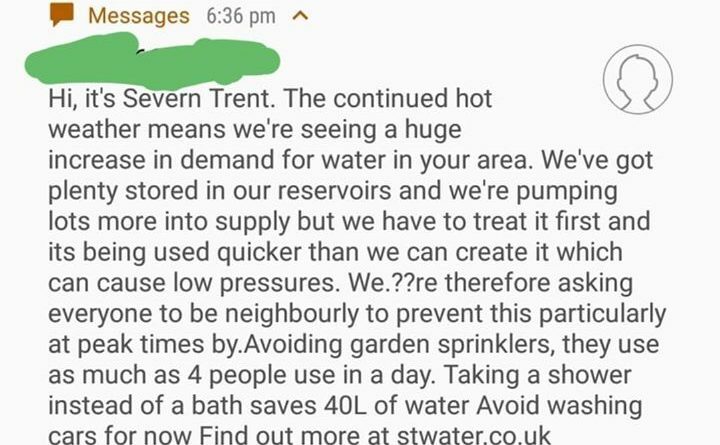 A text message blast has gone out from the water giant to residents in Telford asking everyone to avoid garden sprinklers and to take showers instead of baths. Following another water outage last night, free bottled water was given out in Madeley Tescos car park this afternoon. What are you doing to save water? 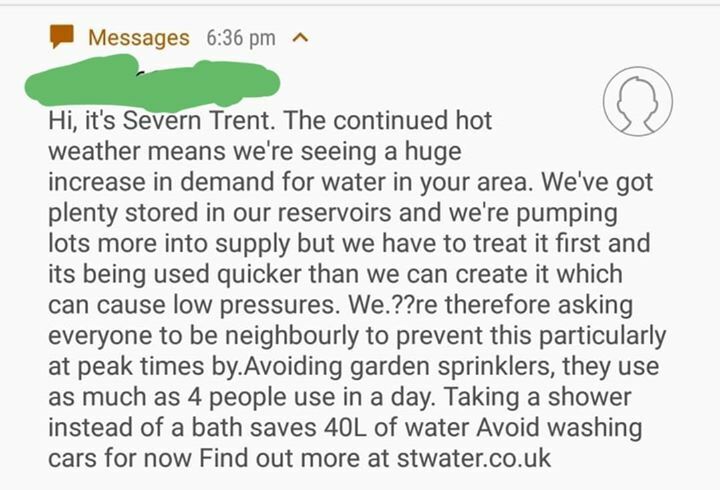 I havent used any water for 2 days as we have had non. There I have saved! Why in Madley when the shortage was in other side of Telford? We don’t all drive, and disabled and those with small children can’t get there.